Latest Updated On 05.03.2019 :-SSC Has Released The Tentative Dates For CHSL – 2018 Examination. Candidates Can Check The Official Notification Regarding This From Below………. Preface – SSC Combined Higher Secondary Level Exam 2018, This is the information to all concerned aspirants who are going to appear in SSC Inter (10+2) Level examination in the month of July, 2019 to become LDC or DEO or Postal/ Sorting Assistants. SSC CHSL News. In this post candidates will get the full updates and announcements regarding “SSC CHSL Exam 2018” and its Admit Card/ Hall Ticket “SSC CHSL 10+2 Admit Card”. The work of application submission and scrutiny is in under process, SSC Admit Card 2017 will be available some days prior to examination, you must have to visit this post regularly time-to-time.SSC LDC/ DEO Hall Ticket Call Letter 2020. Get all the Details regarding SSC CHSL Admit Card through the Post Given…. Staff Selection Commission (SSC) is fully responsible to conduct a online written examination named Combined Higher Secondary Level (CHSL) Examination every year. A candidate who have passed the Intermediate (10+2 Level or 12th) exam from a recognized Board is eligible to take part in this exam. From This year SSC has changed the exam pattern of Pre Exam. Download Tier 1 2 Written Exam Date This year SSC will be conducted an Online Exam for Tier-I. Through this exam SSC recruits the candidates for LDC & DEO in various Govt. Ministries & Subordinate offices and this year Postal/Sorting Assistants and Court Clerks also. SSC CHSL 2018 Tier-I Online Test will be conducted in the month of July, 2019. SSC Lower Division Clerk Admit Card will be available for Downloading in upcoming dates. Candidates are advised to keep in touch with SSC Official Website & Our Website for Latest Updates.SSC CHSL Tier 2 Call Letter. Descriptive test will be of Total 100 Marks. Descriptive Test will be taken in Pen & Paper Mode. Go to Website of Region, from which you apply & opted the Exam Center. Next Step is to Click on the Download Duplicate Admit Card Link for SSC 10+2 Exam. Online Applicants (Candidates who apply Online for the SSC Exam) can Download their Admit Card by Submitting their Registration ID (provided at the time of Registration) & Exam City/ Date of Birth. Candidates who know their Roll No. can Download Admit Card/ Call Letter by entering Roll No. & Exam City. Offline Applicants/ Candidates who lost their Registration ID can Download their Duplicate Admit Card by Submitting their NAME, FATHER’S NAME, DATE OF BIRTH & EXAM CITY. NOTE : Candidates can Download their Respective Admit Cards One week Prior to their Exam Date. Note :-SSC CHSL Tier 3 Call Letter. Candidates must carry at least one photo bearing IDENTITY PROOF in original such as Driving License, Voter Card, Aadhaar Card, Identity Card issued by University/College, Income Tax Pan Card to the examination center, failing which THEY SHALL NOT BE ALLOWED TO APPEAR FOR THE EXAMINATION. Staff Selection Commission (SSC) has announced the Combined Graduate Level Exam. A Large Number of Interested Candidates Filled there Online Application form for These Posts. The Process of Submitting Application Form is Conducted Online. More Details About the Exam is provided Below. As Combined Graduate Level is most awaited & prestigious Exam. Unlike last years, CGL exam was conducted Online, SSC organized CGL 2017 Tier 2 Exam under Online Mode from 17 to 22.02.2018. All those Candidates Who Clear the Tier 2 face the Tier 3 Exam. Tier 3 Exam was Conducted on the Date 08 July 2018. Tier 3 Was Descriptive type paper of 100 marks in Pen and Paper mode. All the Candidates who gave the Exam of above Posts of SSC are now waiting for there Exam Result. Many of them Candidates started searching for there Result So we advise them to have some Patience. Soon the Result Will be Declare on the Official website of SSC. So the Candidates Keep in touch with the Official Website. Here we will also provide the Direct Link to Check the Result so Candidates can easily check there result without visiting to any other Website. The Final Merit Will be Based on Obtained Marks in Tier 1, 2 & 3. After Qualifying the Written Exam, Succeeded Candidates will be Proceed to Tier-IV (Data Entry Skill Test (DEST) /Computer Proficiency Test (CPT)) which would be of a qualifying nature. Candidates can write their Doubts, Queries & Suggestions Regarding SSC CGL Tier 3 Result in the Below Comment Box. We will try to give you Appropriate answer. Staff Selection Commission (SSC) like every Year organized Combined Graduate Level Exam. This Year, SSC CGL 2017 Tier I Exam was conducted on various Shifts between 05 Aug to 24 August, 2017. SSC organized CGL 2017 Tier 2 Exam under Online Mode from 17 to 22.02.2018. Candidates who appeared in the exam, wandering for Cut Off Marks. So in this Article, we provide you Cut Off Marks for CGL 2017 Tier 1 & 2 Exam. 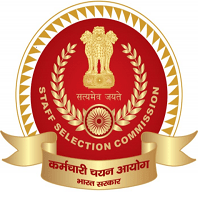 The Staff Selection Commission conducted a Online Written Examination for Recruitment of various Interview & Non Interview Posts under Combined Graduate Level Exam in February at different centers across the country. Cut Off Marks For CGL Tier 1 Exam is discussed here. SSC CGL 2018 Official Cut Off :List 1 – for appearing in Tier – III 2017 For the Post of Assistant Audit Officer & Assistant Accounts Officer. List 1 – for appearing in Tier – II (Paper – I, Paper – II , Paper – IV (General Studies (Finance & Accounts) and Tier – III. List 2 – for appearing in Tier – II ( Paper – I, Paper – II, Paper – III (Statistics)) and Tier – III. List 3 – for appearing in Tier – II (Paper – I and Paper – II) and Tier – III. Candidates have to secure minimum qualifying marks to appear for Tier II of this exam. Tier II Schedule will be Notified on SSC website after Declaration of Tier I Result. So all the Candidates be in touch with the Official website of SSC to get all these Latest Information. Latest Updated On 08.04.2019 :- Staff Selection Commission Will Declare Result Of Sub-Inspector in Delhi Police, CAPFs and ASI in CISF Examination 2018 (Paper-I) On 25.05.2019 (Tentatively). Candidates Can Check The Exam Result From Link Given Below…………..
Staff Selection Commission (SSC) is an Indian organization to recruit staff for various posts in the various Ministries and Departments of the Government of India and in Subordinate Offices. SSC invited Application for 1223 Posts of Sub-Inspectors in Delhi Police, CAPFs and Assistant Sub-Inspector in CISF (Under SSC CPO 2018 – 2019 exam). The Process of Submitting Online Application Form For SSC CPO 2018 – 2019 is Started from 03.03.2018 and Will be Conducted till 13.04.2018. More Details About the SSC CPO 2018 – 2019 Recruitment is Provided Below. The Staff Selection Commission conducted Paper 1 For CPO Exam on the Date 12.03.2019 to 16.03.2019. All the Eligible Candidates Gave the Exam Successfully. The Paper – I, Physical Standard Test (PST)/ Physical Endurance Test (PET) & Successful Candidates Will be Called for the Paper – II and Detailed Medical Examination (DME). Then Only those candidates who secure qualifying marks in SSC CPO 2018 – 2019 Paper I of the written examination, will be shortlisted for Physical Endurance Test (PET)/ PST and medical test. Candidates who declare qualify in Paper 1SSC CPO 2018 – 2019 will be called up for PET/ PST. Candidates will be shortlisted on the basis of their total marks in the Written Examination in Paper-I & II of SSC CPO 2018 – 2019. Aspirants who appeared for above mentioned SSC Exam, will be waiting for their SSC CPO PST PET Result, ssc cpo result. SSC will announce SSC CPO Paper 1 Result 2018 Soon on its official website. So Keep in touch with SSC official website (www.ssc.nic.in). Then Only those candidates who secure qualifying marks in Paper I of the written examination, will be shortlisted for Physical Endurance Test (PET)/ PST. After That Shortlisted Candidates will be proceed to Paper – II. Candidates who declare qualify in PET/ PST will be called up for Paper II. Candidates will be shortlisted on the basis of their total marks in the Written Examination in Paper- I & II. There will be No Interview from Year 2017. Candidates can check the Result of SSC Recruitment of Sub-Inspectors in Delhi Police, CAPFs and Assistant Sub-Inspectors in CISF Exam 2018 from SSC’s Official website. if you have any query at any Time please Leave a Message Here, Through given below Comment Box. Please don’t hesitate to contact us (by using comment) we will glad to help you. “wish you all the very best”.